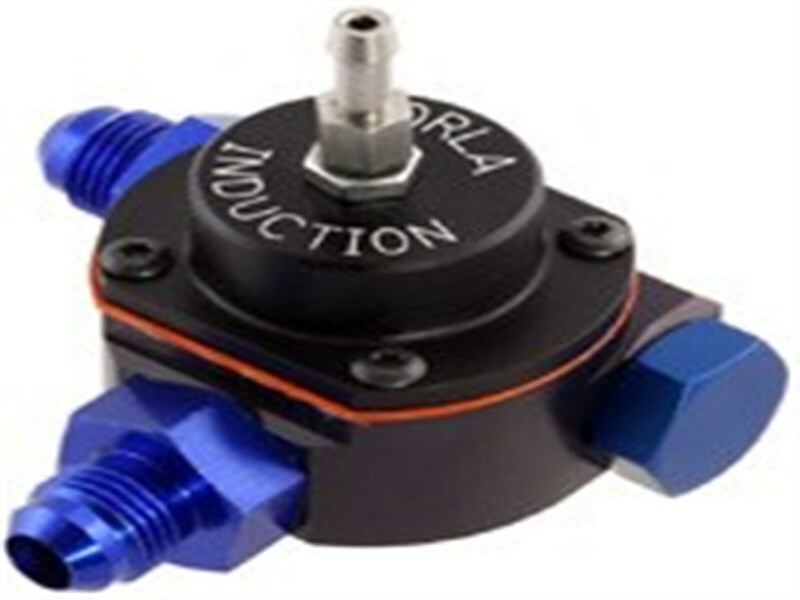 We offer several adjustable fuel pressure regulators, machined from 6061-T6 aluminum, all designed for firewall or fuel rail mountings. 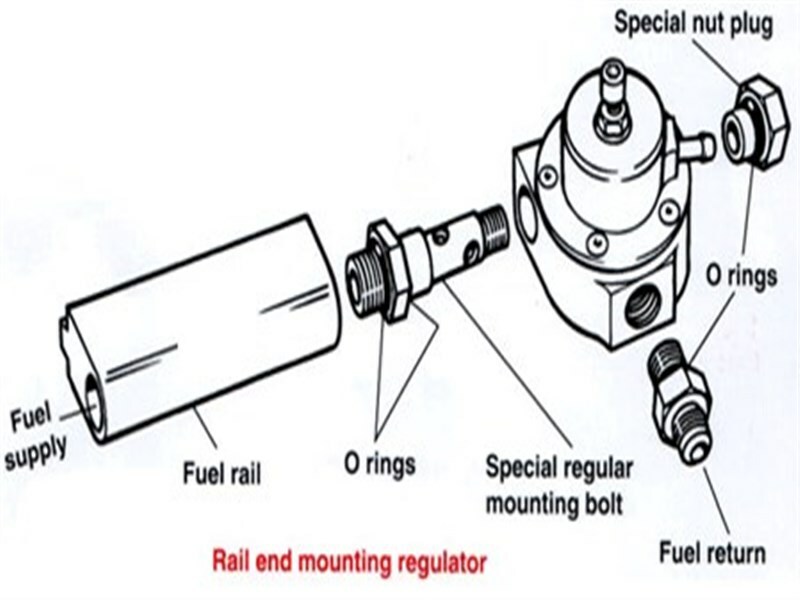 All feature Dash 6 threaded fuel line fittings. 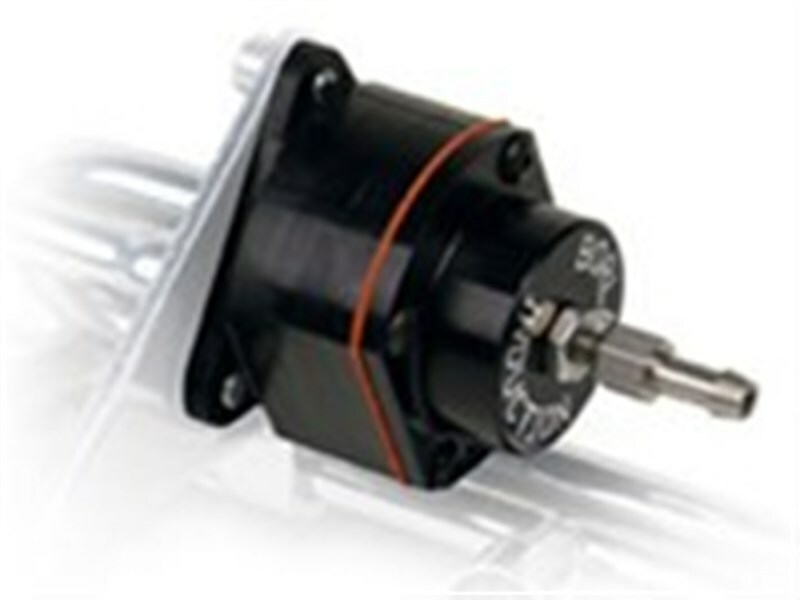 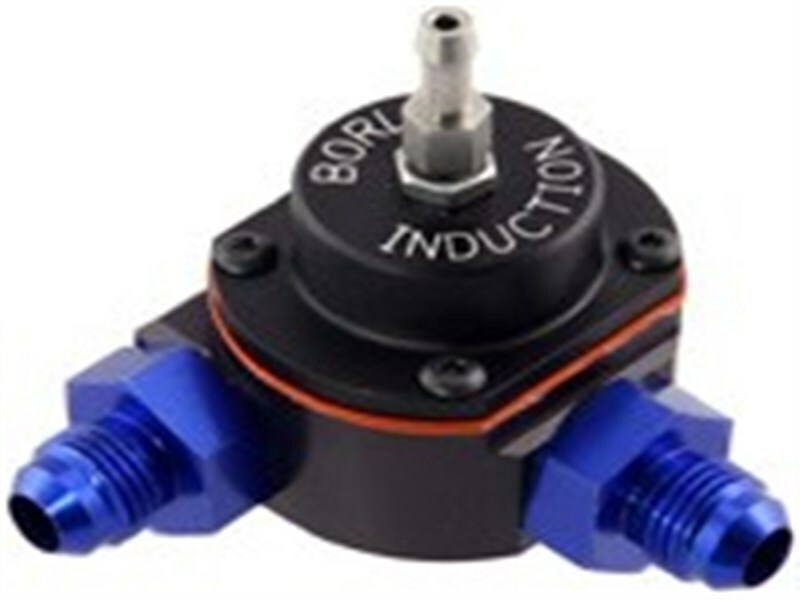 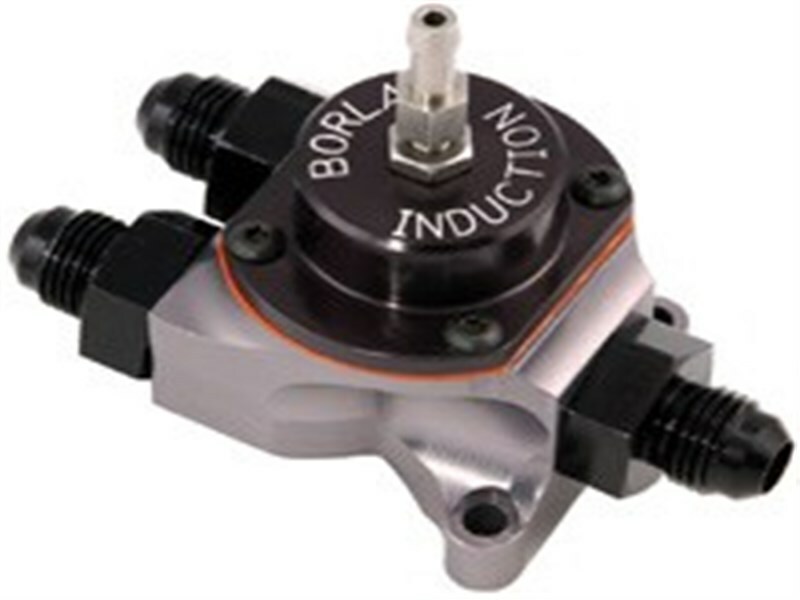 Borla Induction regulators will flow between 300 and 700 pounds of gasoline per hour depending on fuel pump configuration. 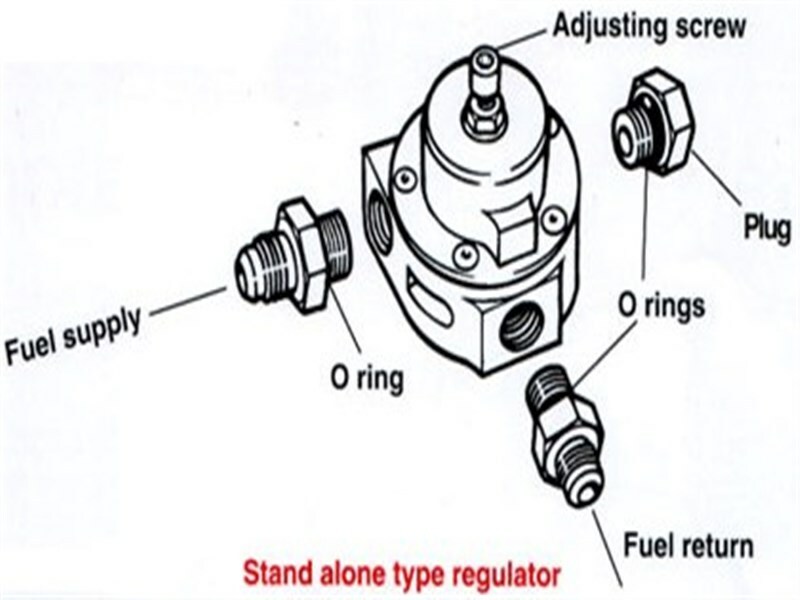 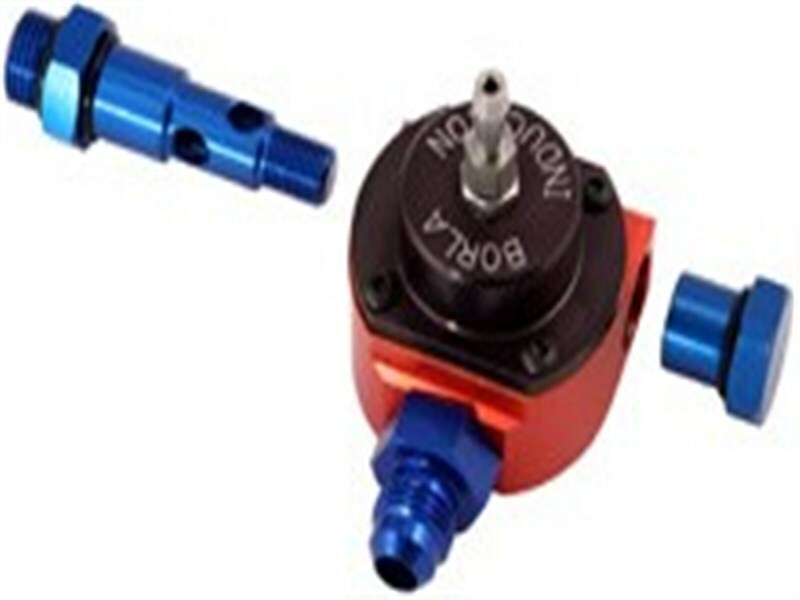 These regulators are used by motor sports competitors all over the world. 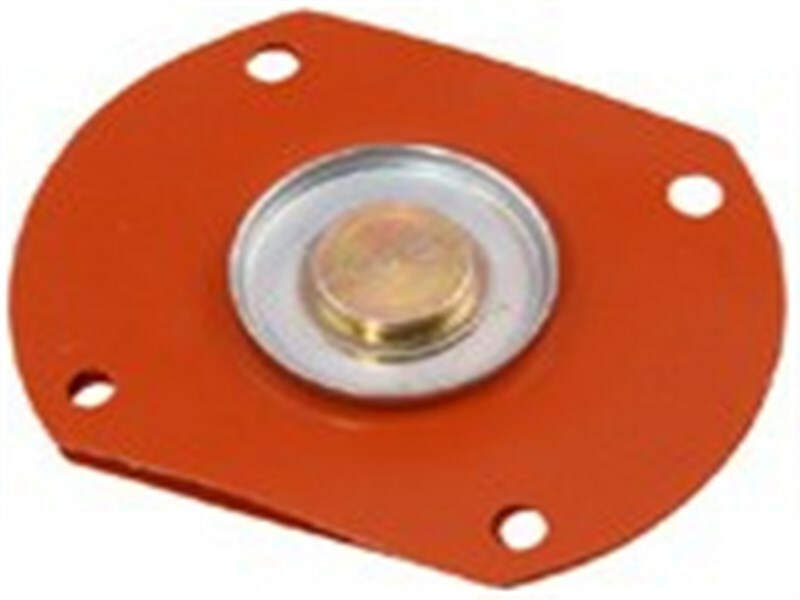 The latest design since January 2002 incorporates a diaphragm made from a double layer of flourocarbon which has proved to be 99.9% reliable in service.